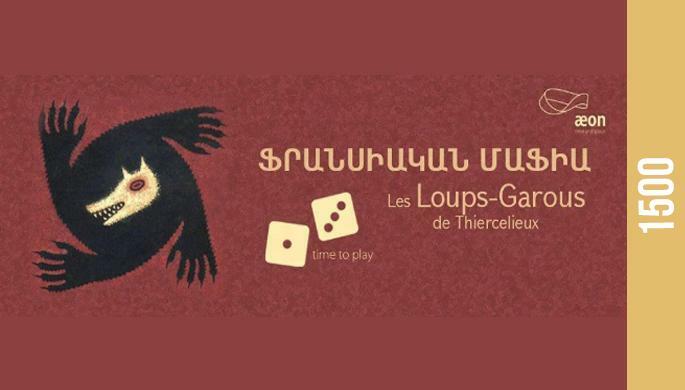 On April 14th come to AEON anti-cafe to play Loups- Garous a famous French game, a more interesting version of Mafia. The game uses special cards with roles and houses. Even players with ordinary cards get some special roles. The more players there are the more interesting it gets. So, bring your friends along and hope you won’t get eaten by wolves at night. Entrance is 1,500 AMD including tea, coffee, fruits, sweets. Places are limited don't be late. For reservation,please call 060 273 000.